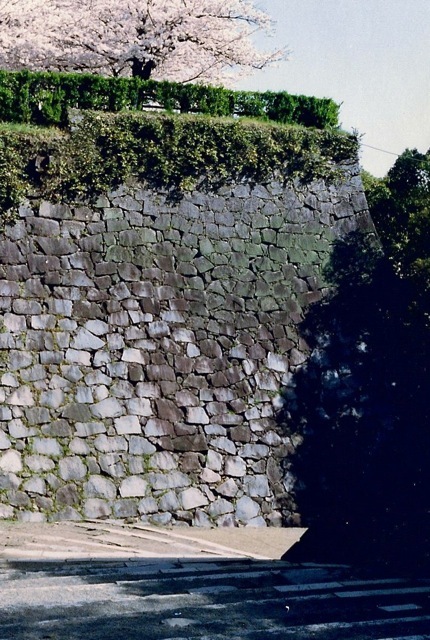 The signature curved stone walls, known as musha-gaeshi, surrounding the castle were designed to prevent attackers from penetrating the castle. "Musha-gaeshi" literally means repelling warriors. 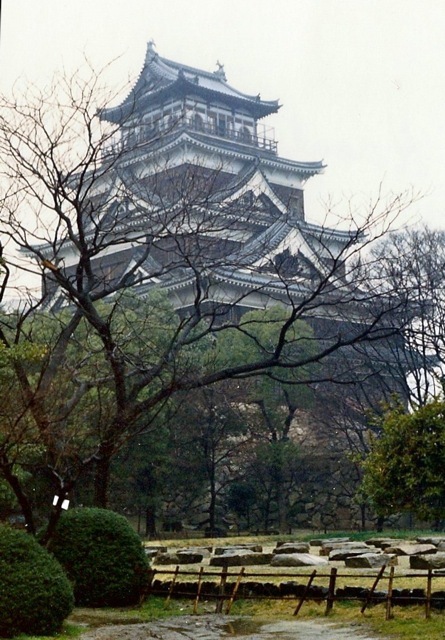 Also notice the stone steps in the foreground which lead to the castle sitting on the hilltop. 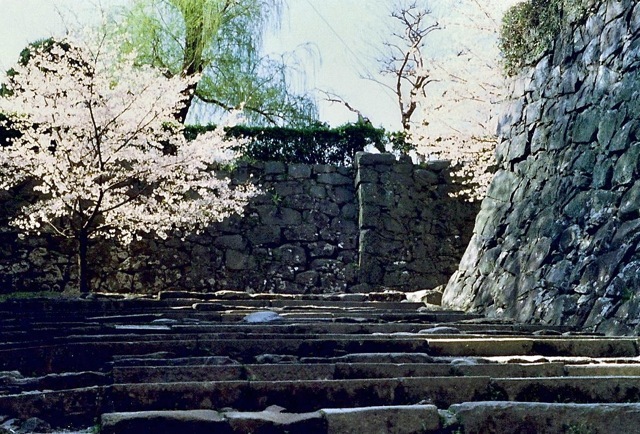 On my way up to the castle, I was drawn to the contrast between the delicate blossoms and the unyielding stone wall. I wonder how many warriors walked up these steps in the 400 years the castle was inhabited. 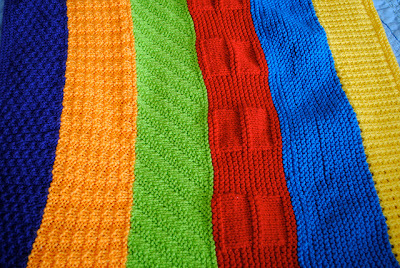 Fruit Salad, a Western Region Oddball Baby Blanket, came to me from Bonnie in Ottawa, Canada. 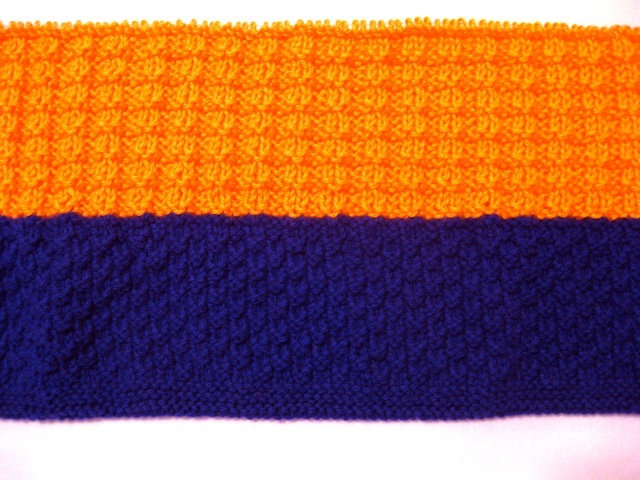 Bonnie began the blanket with a purple (grape) section. 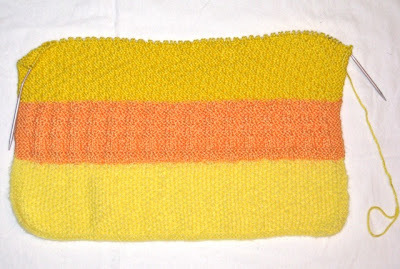 I used the Checks and Ridges stitch and Simply Soft (Mango) for my section. 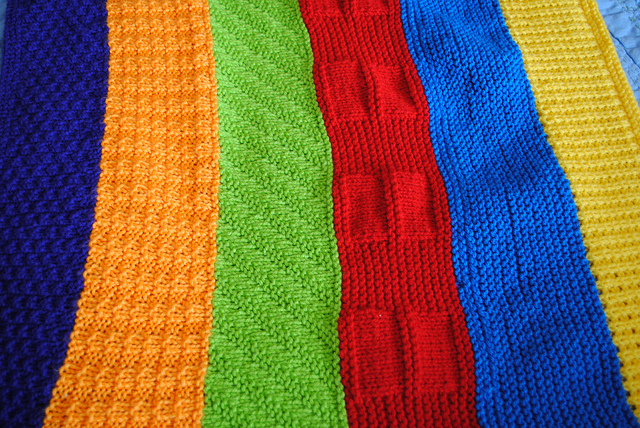 This blanket will be bright and cheerful as more fruit colors are added. Orange Blossom, another Baby Surprise Jacket, came off of the needles yesterday. It was knit with one 100g/3.5 oz. 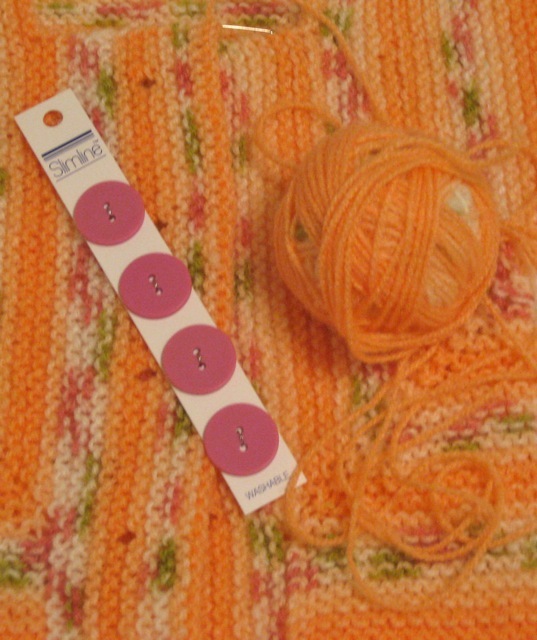 skein of Bernat Jacquard (Orange Blossom) on size six needles. 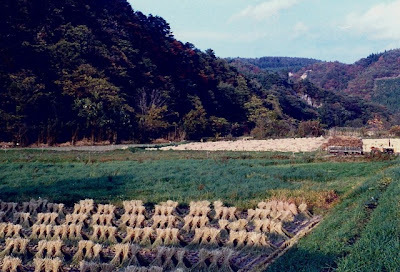 The remaining yarn will be enough to knit a collar. Before the jacket can be declared completely finished, it needs seamed, a collar added, and buttons attached. Then, it will be ready to send to my sister for her Grandmother Boxes. With this ninth block, I am working on the last set of blocks in the Blocks of the Month - seasonal flowers. 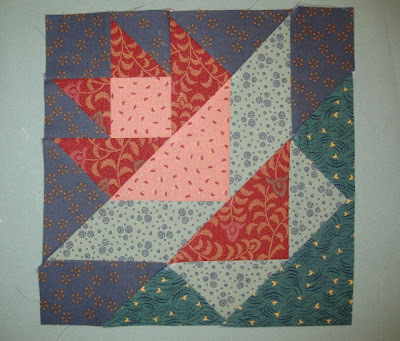 September's block is an amaryllis. 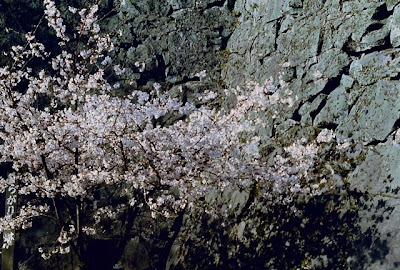 Cutting parallelograms was a little challenging, but I must have done it correctly because everything fit together easily. 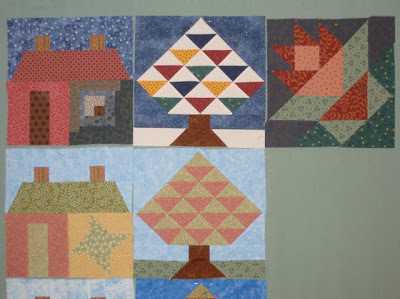 The Winter blocks of the Quilter's Neighborhood are complete, and only the flower blocks for Spring, Summer and Fall remain. I found a handful of shiny pennies in my coin purse last week and was surprised to see some distinctive changes in this familiar coin. 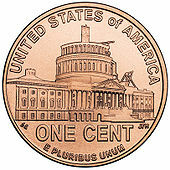 The Lincoln Memorial was replaced by the Union Shield in 2010, according to Wikipedia. The coin is also much lighter than others in my purse: it feels almost like play money. Many people think of the penny as being worthless and carelessly toss them around. 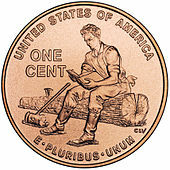 I love pennies and eagerly stoop to pick one up when I see it on the ground; after all, it's good luck to find one "heads-up." Because so many people dismiss the penny's worth, the perfect fund-rasier is a Penny Drive, asking people to donate pennies from their purse or pocket to a specific cause. I often wonder how many pennies are out of circulation because they are being saved in large glass jars for no real reason. 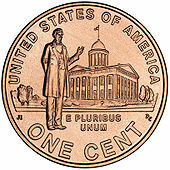 I have some older coins - a couple Indian-head pennies, some wheat cents, and now some Lincoln Memorial pennies. 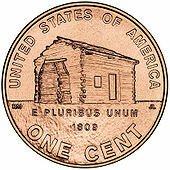 Have you seen any of these Lincoln Bicentennial pennies? 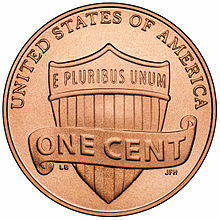 I haven't seen them, but then I just noticed the Union Shield penny. 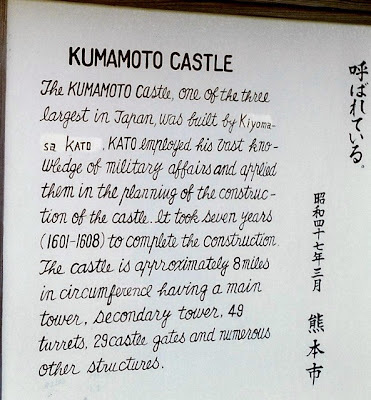 The castle was so large, I could have easily spent days roaming around the it and the grounds. 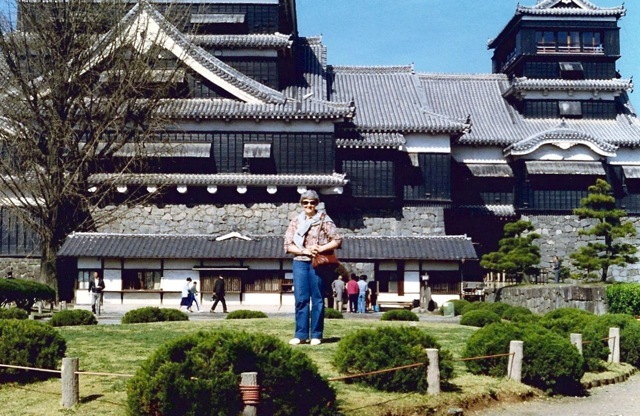 It's always fun to ask another tourist to take your photo to capture the moment and the memory. 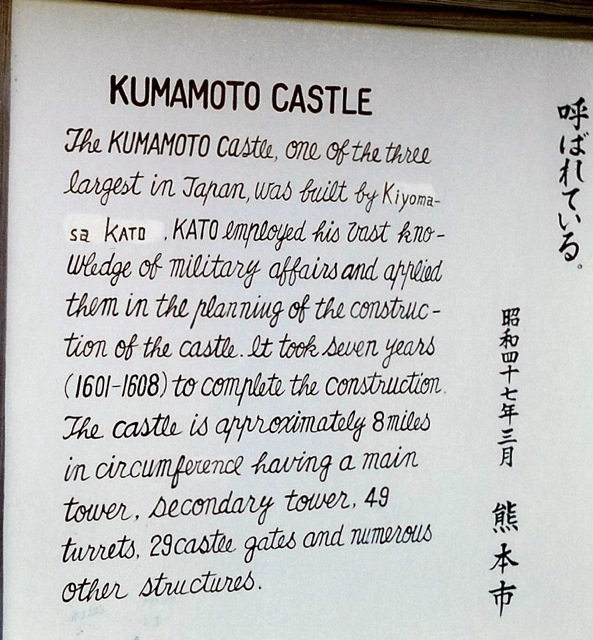 More photos of the castle will be featured in future Foreign Fridays. I acquired this Bernat Baby Jacquard yarn when I was in Denver. 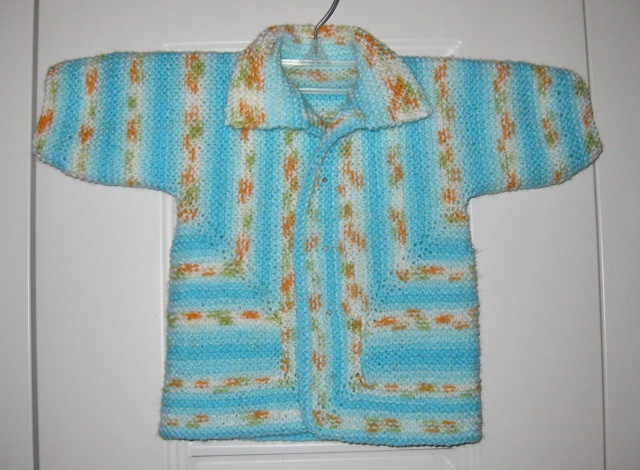 It was supposed to knit with small, orange flowers, but obviously that didn't happen on this Baby Surprise Jacket by Elizabeth Zimmerman. 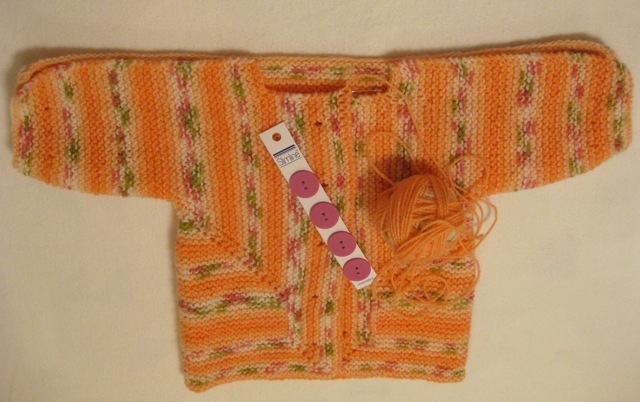 The sweater was knit on size 6 needles, using one ball of Bernat Baby Jacquard (Bluebell #06201). It will be finished when I add the turquoise buttons. I knit this sweater for Marilyn's "grandmother boxes" - bins for her grandchildren filled with handmade items - embroidered tea towels, quilts, pillowcases, etc. 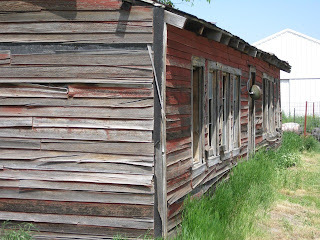 Weathered and worn, an old, farm shed stands proud. will serve its owner as many years as this old shed. Marilyn and I saw a finished American Valor quilt hanging in a Parker, CO quilt shop and decided we wanted to make one. 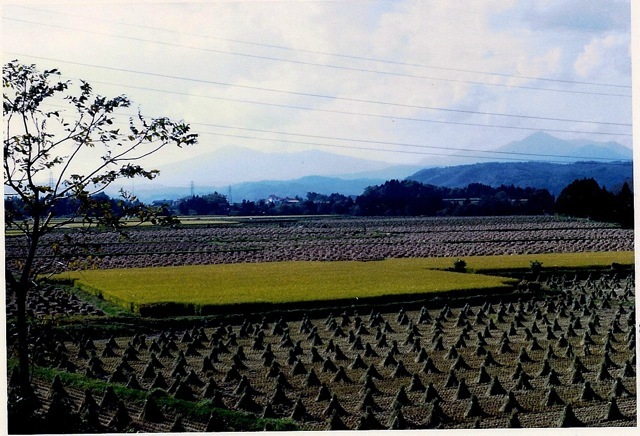 The quilt will be easy to assemble from the kit, I ordered online. The center is a panel, and the stripes shown with the pieced stars are printed on the fabric. The fabric on the bottom of the pile will be used as the backing. 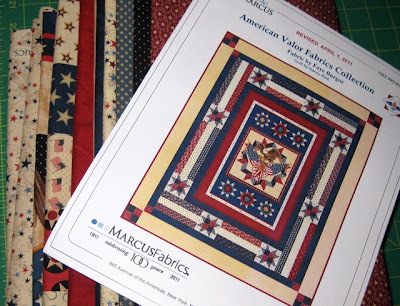 Besides the kit, I ordered two extra center panels to make Quilts of Valor, and I will use some of the Clearance fabric shown in yesterday's post for the stripes and pieced stars. 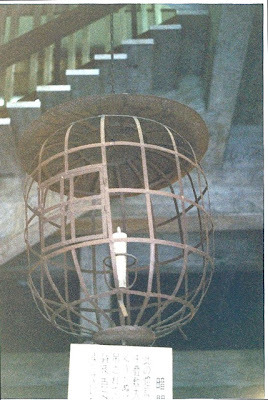 The pattern for American Valor is free online. 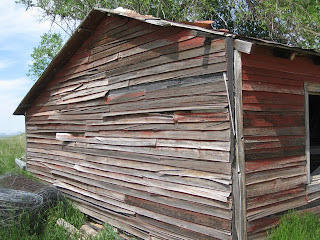 You can see the fabric included in the kit here. 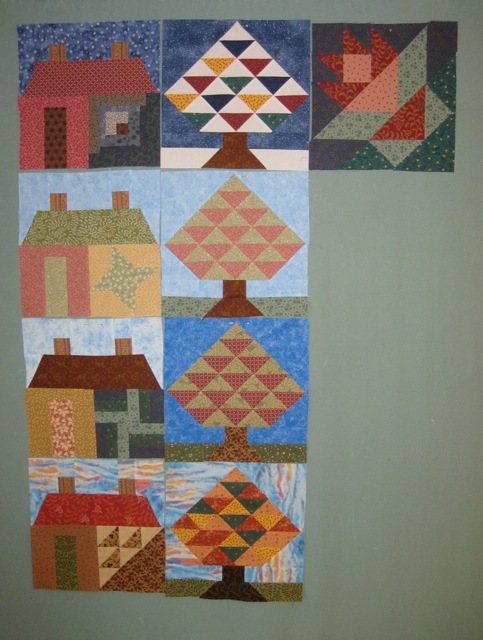 I purchased the kit from the fabric designer, Nancy Rink (this was the most reasonable price I found) and the extra panels and the backing fabric from Hancocks of Paducah because the price was right. Please note, the Hancocks' order form asks for the number of "half yards" desired, so don't forget to figure how many "half yards" make up the total yardage needed. Marilyn and I found some great fabric in the Clearance aisle at several Denver stores. These two stacks contain 53 yards of patriotic fabric: the average cost was nearly $3 a yard - quite a bargain for quilting fabric. 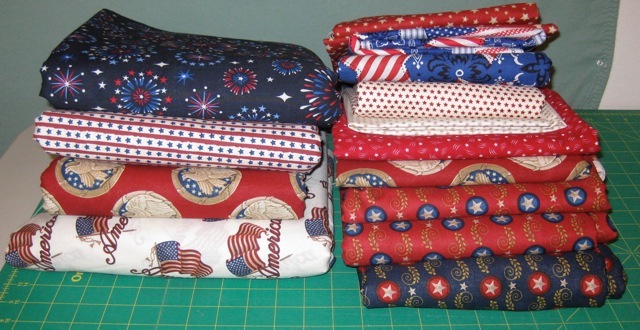 The fabric on the left will be used for backings for future Quilts of Valor; the stack on the right, for Quilt of Valor tops or presentation cases. Looks like I better get busy! The rice was cut and grouped into bundles or shocks. The shocks were then hung on support poles to cure and dry. was brought into the field. The dried shocks were fed through a combine by hand. 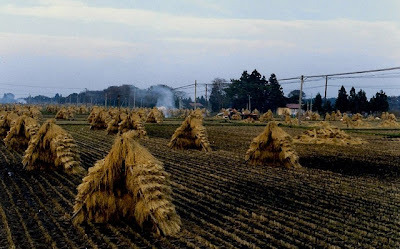 Bags attached to the machine collected the rice grains. 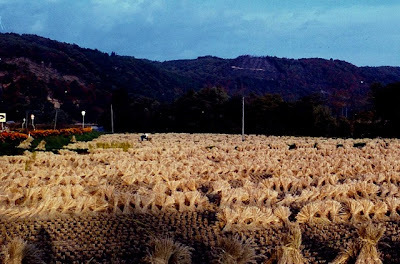 Fields are burned after the harvest. 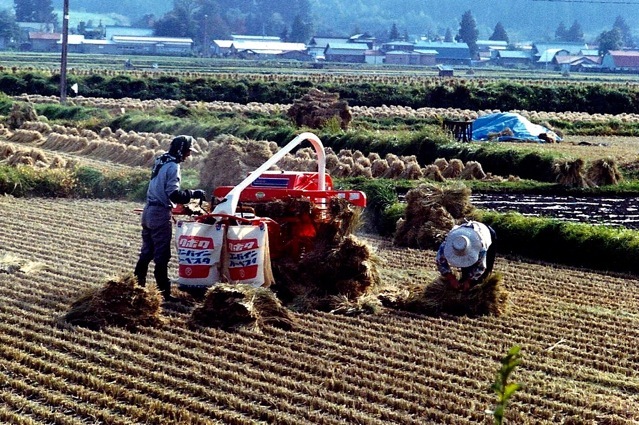 This video illustrates the rice harvest today, thirty-two years later. but not nearly as picturesque. 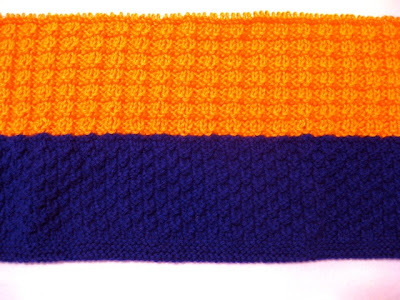 Just Ducky is a Western Region Oddball Baby Blanket. The preemie blanket was started by Cheryl O., a knitting buddy, on needles donated by Julie. 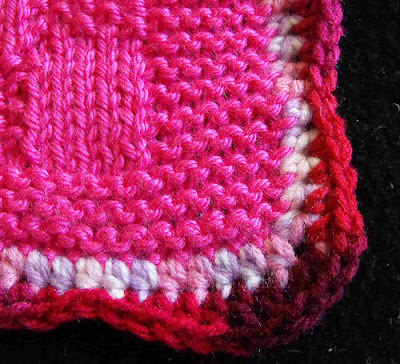 Another friend, Sheri H. knit the second section, and I knit the third section, using the Box Stitch. 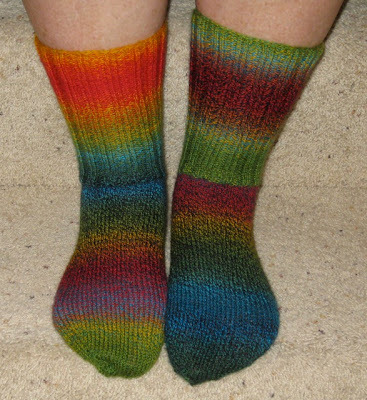 I finally finished the Wild and Crazy socks I started in July. For some reason this project languished in my knitting bag for nearly two months, which is way too long, since I usually knit a pair of socks in less than a week. Since my niece liked the Wild and Crazy socks, they became hers after I frogged and shortened the toes. 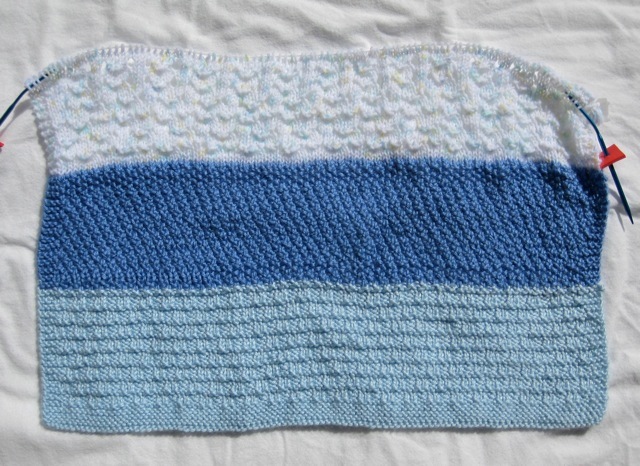 Cheryl O. and Sheri H. also knit sections to Sweet Dreams, a preemie baby blanket. Two additional sections will be added by those in the Western Region Oddball group on Ravelry. Two of my knitting buddies added sections to Raspberry Delight while I attended a wedding in Colorado. 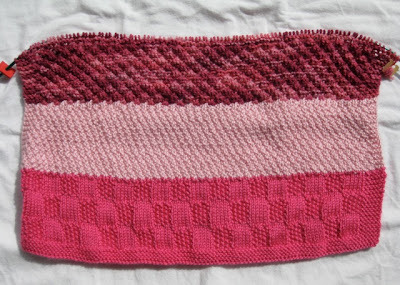 Sheri H. added the light pink section, and Cheryl O. knit the dark raspberry section. 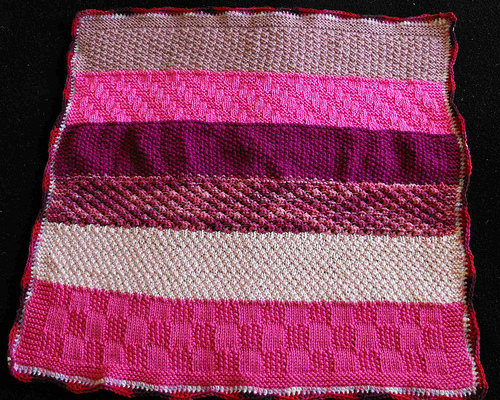 Now, three Western Region Oddball knitters will complete the blanket.